Short for Adipocyte Derived Stem Cells , simply put stem cells from body fat, it is now possible to get stem cells just by extracting your body fat through a simple procedure called Lipo aspiration or even after liposuction. 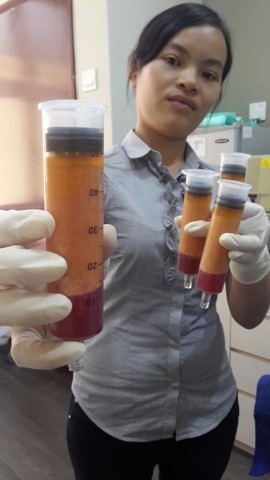 The technique has been available for several years now but due to it's technical difficulties in processing the fat to extract the stem cells, it's development in clinical practice was a little slow. 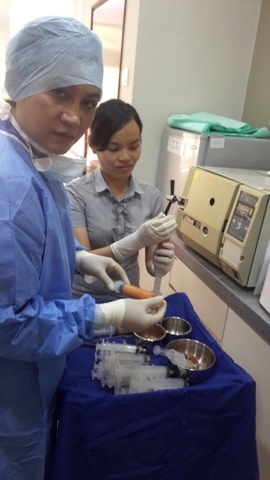 In fact our centre had at one point the manual mini lab to conduct this processing called the multi station but then the process was so tedious and lengthy ( min 8hrs to complete), plus there was not much interest in stem cell then, we gave it up. I then went to Korea to learn about the processing using a fully automated machine called the Unistation which was able to process and get all the stem cells ready in 2hours. 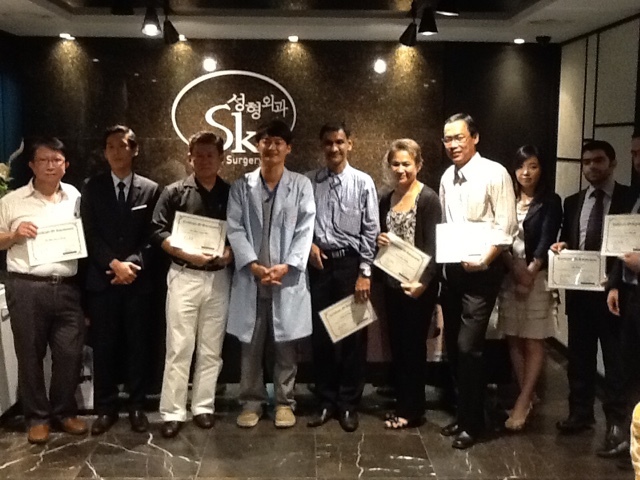 The clinic we went to conducts all its lipotransfer with cell enriched fat. 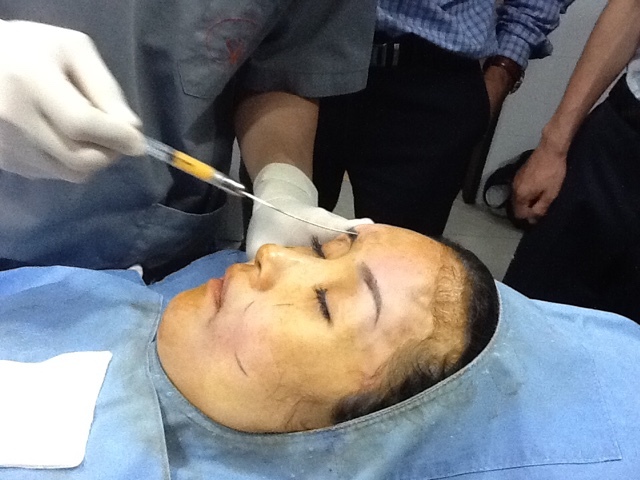 A demonstration on facial lipo filling with stem cell enriched fat was shown. The results were amazing! Very natural and best part is it will last close to 7years! 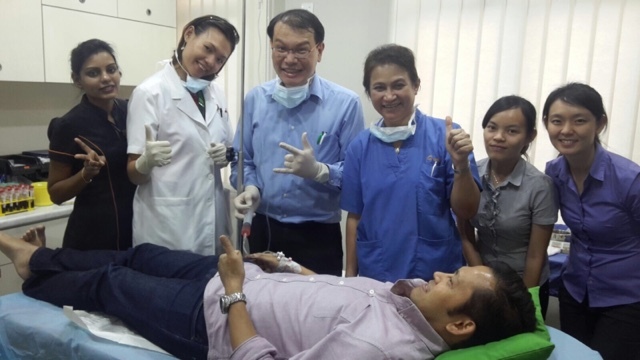 There are also many people desiring stem cell infusion to improve their overall wellbeing as well as to enhance their immune system. Stem cells are also super for conditions or diseases where organ deterioration has occurred like in Diabetes, stroke, neuro-degenerative disorders, spinal cord disorders, heart disease and even cancers. This means infusing a certain amount (at least 20mill) of cells directly into the body through an intravenous injection as well as implanting it into the deserved organs. 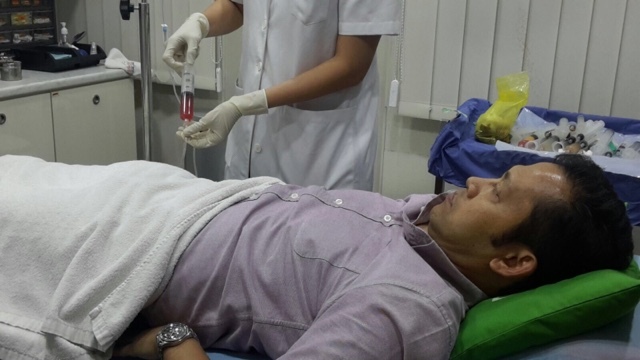 In order to implant the correct amount of stem cells, fat is first extracted from his or her body ( autologous transplantation) If there is not much fat available, a "fat" donor is used ( Allogenic transplantation) preferably from a first degree relative of a young age in the 20s with the same blood group. So for our first trial session, I had my 20year old son be the donor to my 50+ yearold husband. They are of the same blood group B which makes for a perfect match. 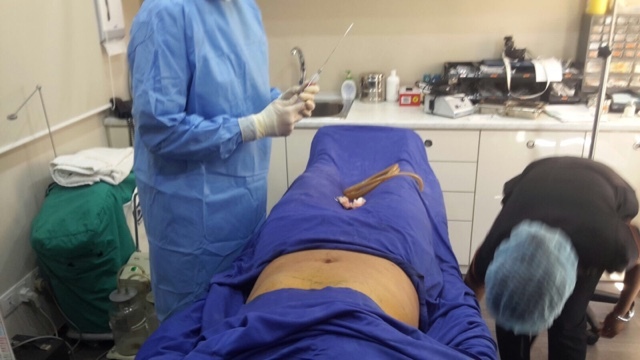 I started with Lipo extraction of fat from his tummy and inner thighs. Needed around 290-300cc of pure fat. 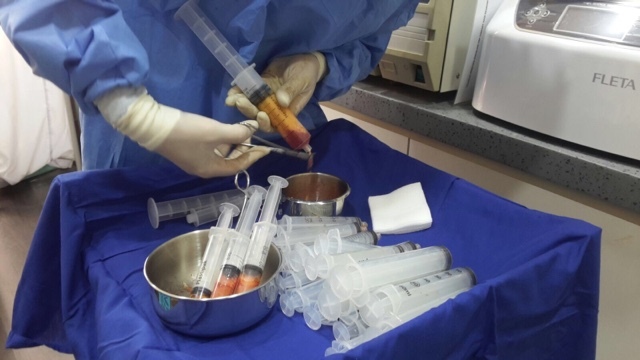 Once about 500cc of fat had been extracted, we processed it using special syringes and enzymes to break down the fat membranes for the stem cells to be released. These processed fats then go through several rounds of centrifugation to get different layers. 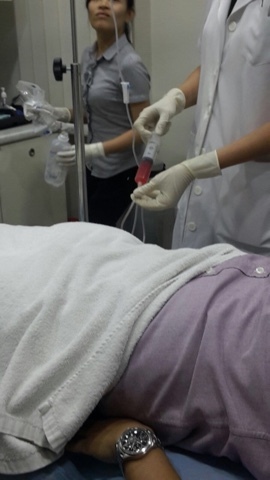 Once all the stem cells are acquired, it is then infused into the recipient patient ( in this case my 50+ year old husband) through a slow "drip" technique. Well, he is hoping to come out feeling like "superman" but this will be a definite boost to his health and physical strength. 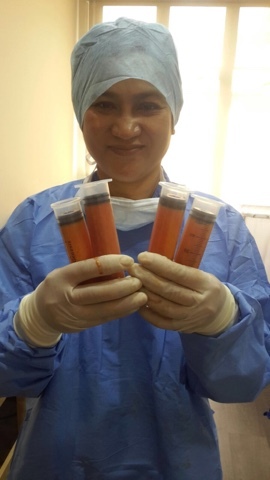 All in all we managed to implant almost 120mill cells into him which consists of stem cells, growth factors, immune cells, and many more types of cells that is important for health, immunity and regeneration of tissues but has reduced with age. Thankyou to the team who made this happen especially DrKenny Yong who took the trouble to come over and help us through the whole process. Therapeutic mesenchymal Stem cell (MSC) from fats will be made available at our centre from 1st January 2016. We are absolutely excited to be able to conduct and offer this amazing treatment. Call our centre at 1300-88-1788 or email to me sutina@en-hanze.com if you need to know more.